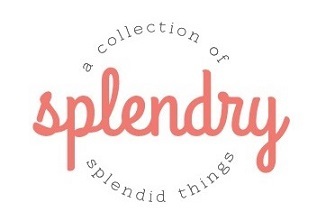 This post contains affiliate links meaning clicks or purchases on included links may result in Splendry earning a small commission at no cost to you. 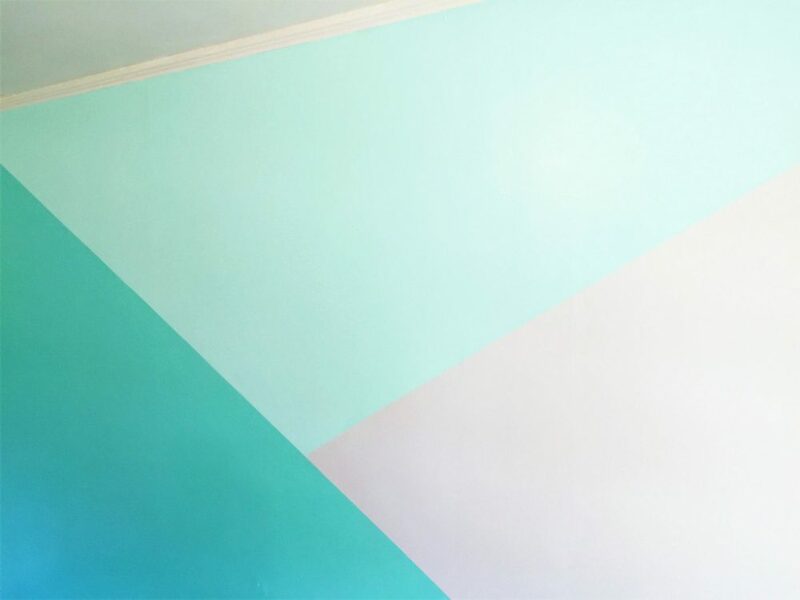 When I was designing my baby’s nursery, I decided on a geometric design on one wall. 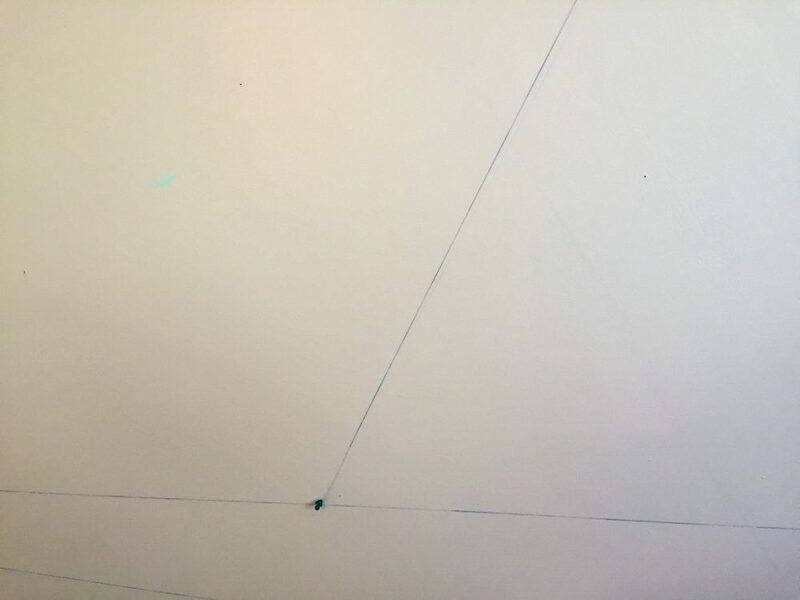 Three triangles in different colors, and I wanted my lines clean and perfect. Fortunately I had my mom’s assistance with the project, and being the seasoned painter she is, she had one of these aluminum chalk reels with her. If you haven’t used one of these before, it’s really easy! Just pull one end to the start of your line, pull the reel to the other end and when you’re ready, pull it back and snap it! 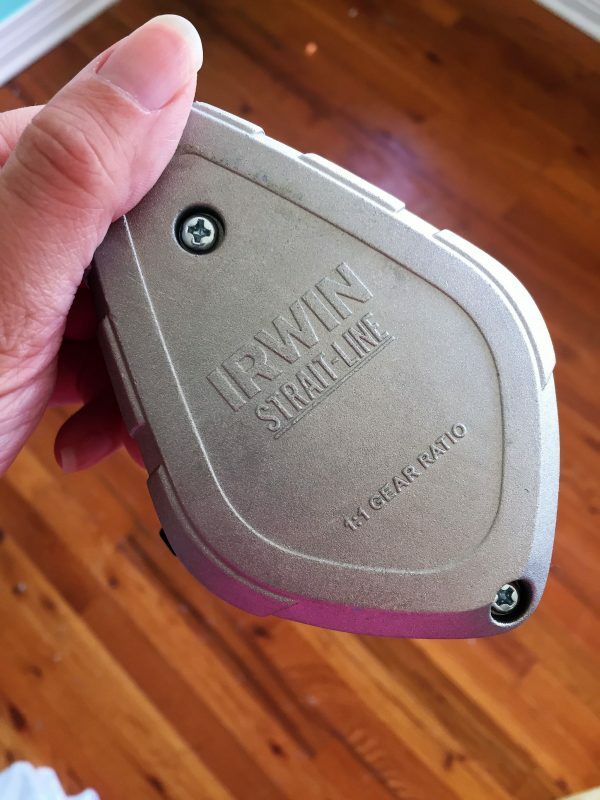 The cable will leave a perfect chalk line for you to use! If you’re feeling confident, you can use this line as your guide, but for the rest of us, this is when you use your painter’s tape along your line to give you clear, distinct lines, ready to be painted on! I’m incredibly happy with how my room design turned out. (And you can see more of the finished room here!) 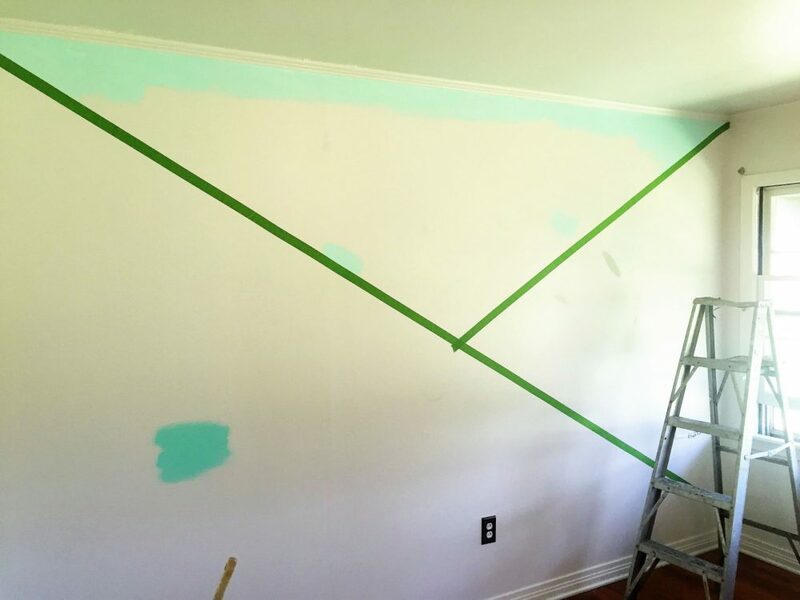 For your next home painting project, don’t limit yourself. 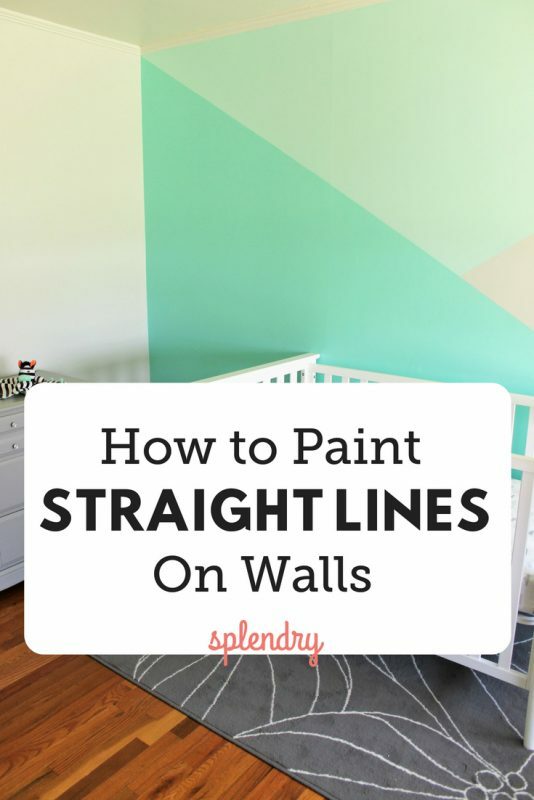 If you’ve been wondering how to paint straight lines on walls, now you know how easy it is!